Once again I drove out to Cicero Stadium to capture one of the greatest sporting events Chicago has to offer. 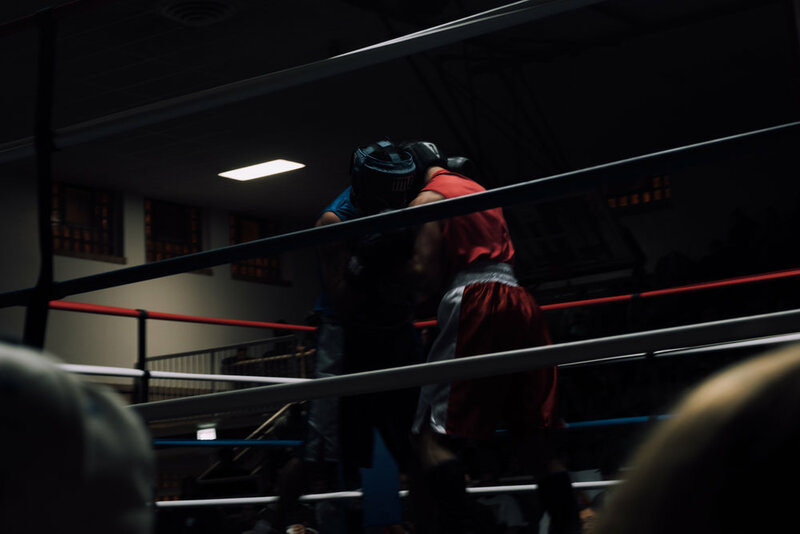 Golden Gloves is an amateur boxing tournament that is many things to different people. For those who come from disadvantageous backgrounds it can be a way out. Win here and you go to nationals. Win nationals and it's junior olympic team. Win there, and hey, you know the rest. For others it is a feat of courage. They have something to prove to themselves and what better than a contest of spirit and physicality to test your mettle? Watching amateur boxing in person is like no other sport. It is raw, real, and visceral. You can sense the dread of some fighters. The indomitable spirit of others. The tension as they meet in the center of the ring. And the desperation of someone behind on points and out of gas in the last round. You root for the underdogs, but you also root for the victor. There is no money awarded. No sponsors. No television deals or promotional packages. Just the sweaty regulation boxing gloves that someone used 3 minutes before. Congratulations to all the fighters.